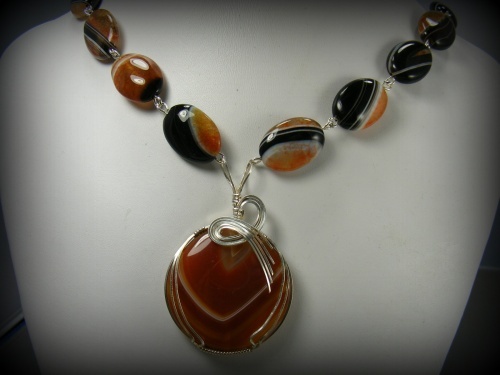 This elegant banded agate necklace is so dramatic contrast of colors of caramel and white and black. Has a beautiful matching focal that has been sculpted with sterling silver curls. Piece measures 18".